Kernow Fires are suppliers of the Skantherm Elements in Cornwall. Elements is a unique fire system which consists of a simple and sophisticated modular system construction. Three elements can be pushed together into any kind of combination, creating endless possibilities. The fire itself is a corner design with a unique corner glass. There are heat storage elements that can be added above and below the fire unit. The third element is a series of storage block which can be placed beneath and to the side of the fire. 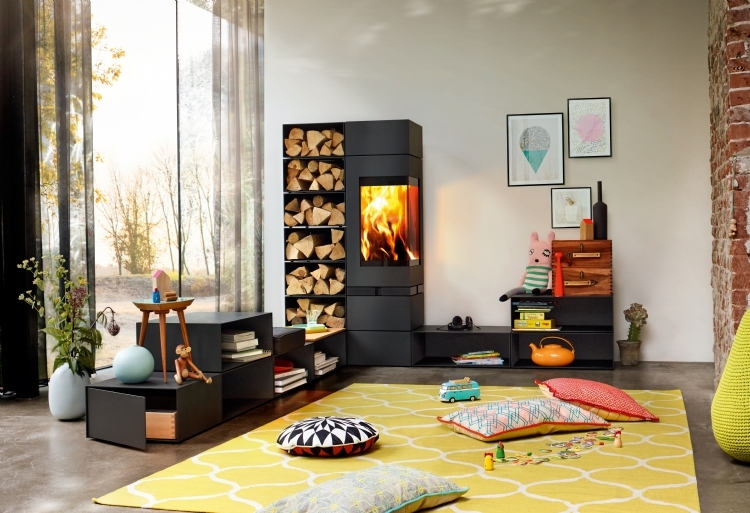 Through it's unique design the fireplace becomes a piece of furniture, which in turn morphs into a modern, comfortable and warming element in your life.